Are you planning a practice egg hunt in preparation for the Easter Bunny’s arrival? What do you put inside the plastic eggs? Here is a list of 50 ideas for what to put in Easter eggs. 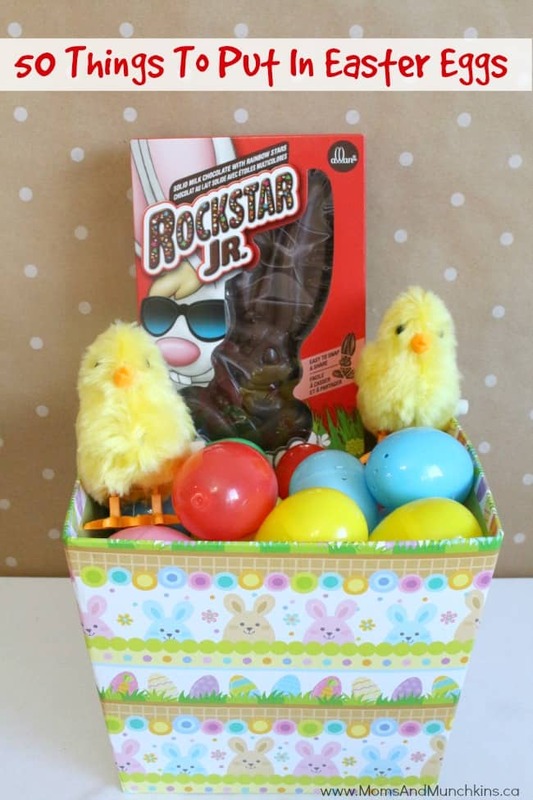 Keep in mind that there are a few different sizes of plastic eggs available at your local dollar store and some of these items will only fit into the larger size of egg. I’d love to hear your ideas for what to put in Easter eggs! What is the most unique item you’ve ever hidden or found inside an Easter egg? For more fun Easter ideas like free printable games, treat ideas, party ideas and more, visit our Easter page! 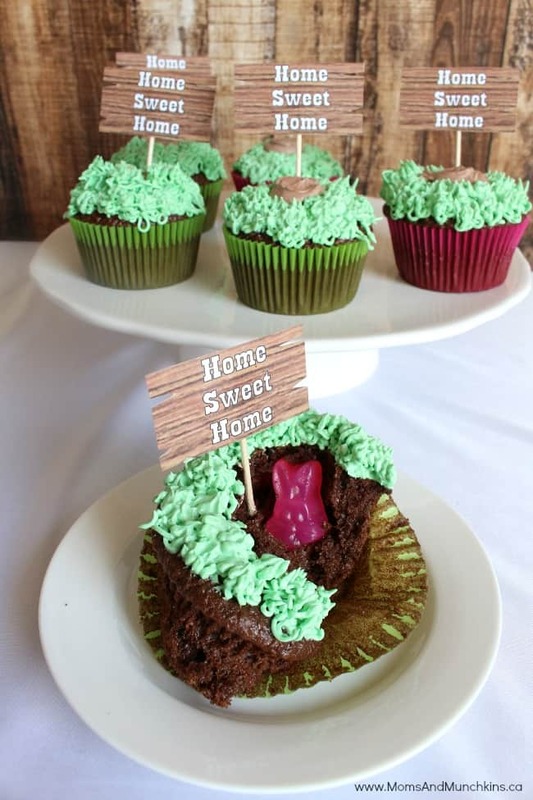 Making Easter cupcakes this year? 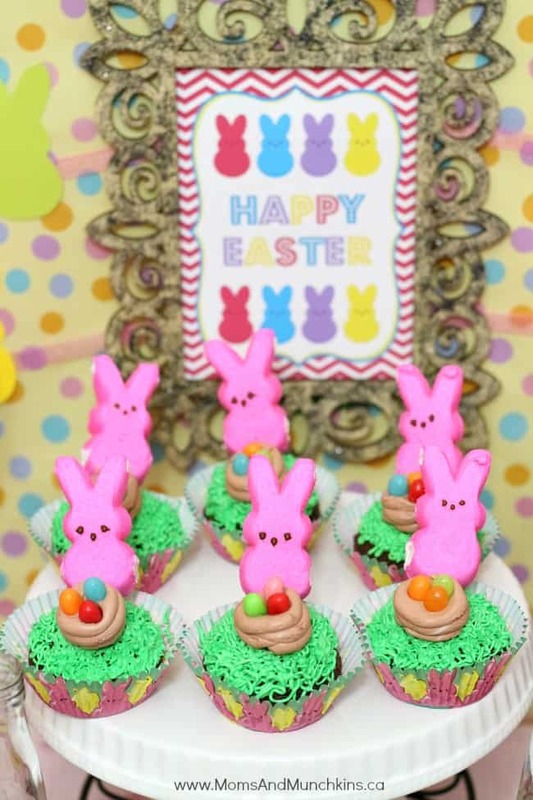 Check out my Hidden Bunny Easter Cupcakes (with a free printable) and these Peeps Cupcakes – both so easy to make! Stay updated on the latest ideas for holiday fun & activities by following along on Facebook, Twitter, Pinterest and Bloglovin’. Coins quarters, pennies, nickles and dimes. This is a fantastic list! Thank you for sharing with us at Thursday Favorite Things Blog Hop.